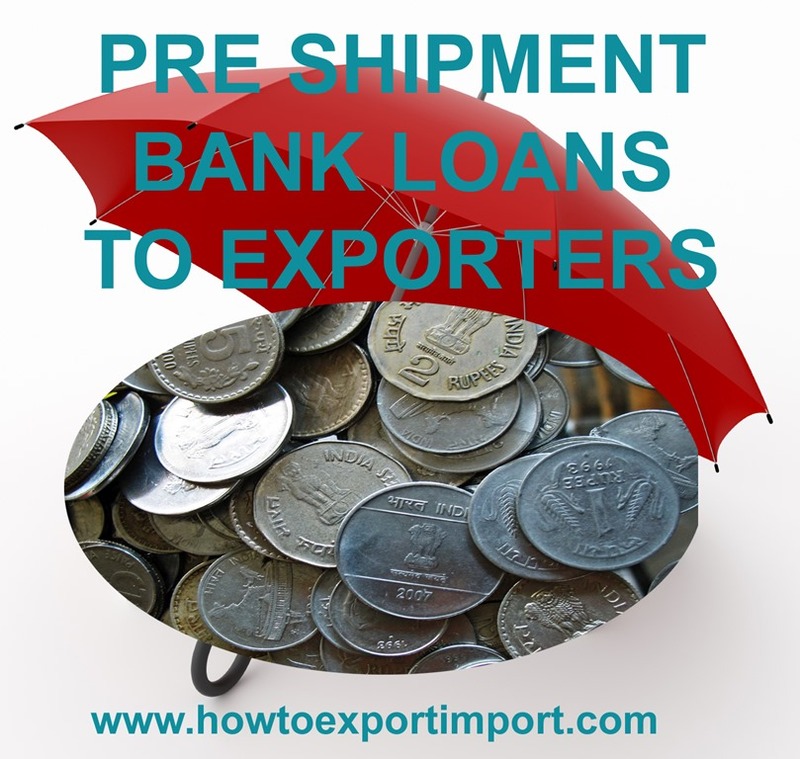 As I have mentioned in previous article about packing credit under Pre shipment finance by bank, the exporter is given such loan on procuring raw materials, manufacturing,processing or packing of goods before shipment. In many cases, the exporters have to procure raw material, manufacture the export product and keep the same ready for shipment, in anticipation of receipt of letters of credit / firm export orders from the overseas buyers. It is observed that the availability of raw materials is seasonal in some cases. In some other cases, the time taken for manufacture and shipment of goods is more than the delivery schedule as per export contracts. Having regard to difficulties being faced by the exporters in availing of adequate pre-shipment credit in such cases, banks have been authorized to extend Pre-shipment Credit RUNNING ACCOUNT facility in respect of any commodity, without insisting on prior lodgment of letters of credit / firm export orders, depending on the bank’s judgment regarding the need to extend such a facility. 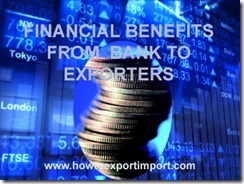 Running account facility to exporters are provided subjected to terms and conditions of bank. Banks can extend the Running Account facility only to those exporters whose track record has been good as also to Export Oriented Units, Units in Free Trade Zones / Export Processing Zones and Special Economic Zones. In all cases where Pre-shipment Credit RUNNING ACCOUNT facility has been extended, letters of credit / firm orders should be produced within a reasonable period of time to be decided by the banks. Banks should mark off individual export bills, as and when they are received for negotiation / collection, against the earliest outstanding pre-shipment credit on FIFO method (First In First Out method) basis. 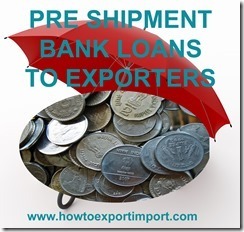 Needless to add that, while marking off the pre-shipment credit in the manner indicated above, banks should ensure that export credit available in respect of individual pre-shipment credit does not go beyond the period of sanction or 360 days from the date of advance, whichever is earlier. Packing credit can also be marked-off with proceeds of export documents against which no packing credit has been drawn by the exporter. If it is noticed that the exporter is found to be abusing the facility, the facility should be withdrawn forthwith. In cases where exporters have not complied with the terms and conditions, the advance will attract commercial lending rate. In such cases, banks will be required to pay higher rate of interest on the portion of refinance availed of by them from the RBI in respect of the relative pre-shipment credit. Related Read: How to find overseas (foreign) buyer? Mukesh Mehta: On 13 February 2015 Could you Pl's let us know my query 1. Can I ship to Germany entity and bill to Indian entity? 2. If no than what is correct. S R Pandit : On 18 February 2015 Today I am hoping to get some advise from you regarding the best possible instruments/ways by which a Sales agent (exporter's agent) in india can ensure getting paid his commission. how to go about it?